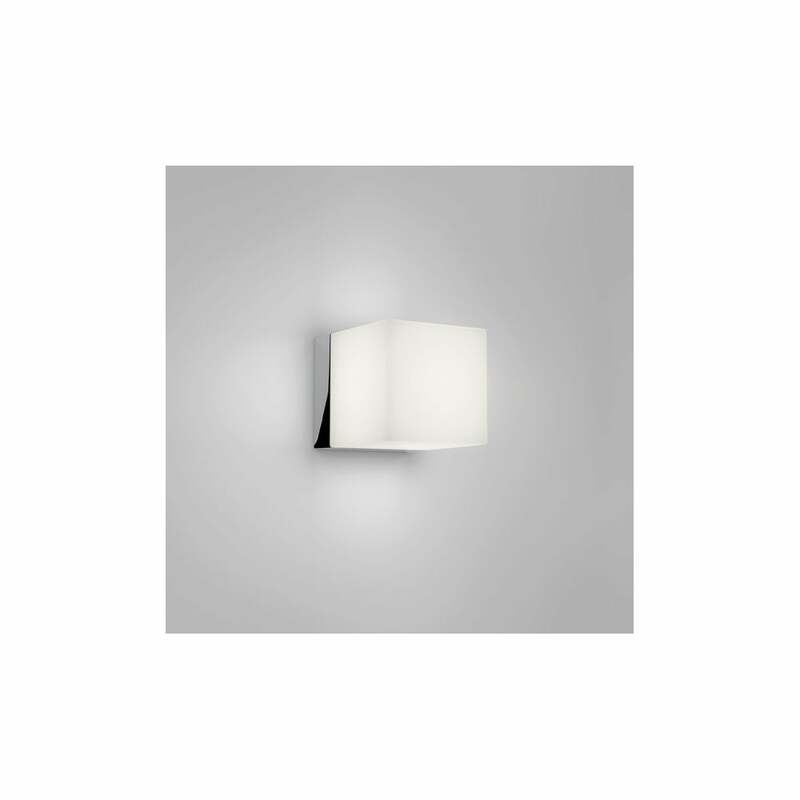 Astro Lighting Cube LED bathroom wall fitting features a polished chrome back plate with a cube shaped white acrylic shade housing a warm white integrated LED. The product code for this light is 8319. This clean cut design creates a stylish yet practical lighting solution and the white acrylic shade provides soft illumination, its double insulated and IP44 rated for bathroom use. A wide range of bathroom wall fittings can be purchased via our website.